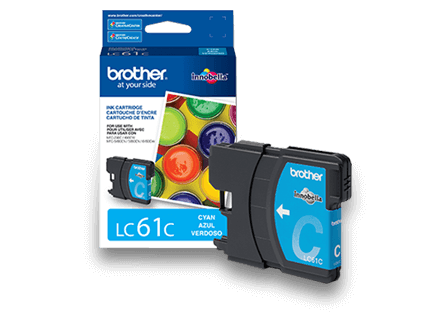 The compact Brother VC-500W color label and photo printer with wireless networking features ZINK® Zero Ink Technology that allows you to print amazing full color labels, photos, stickers and more up to 17 inches long in a single pass without the need for ink cartridges, ribbons or toners. All colors required for high-quality photo printing are embedded in the ZINK® paper which is water, tear and smudge resistant and has an adhesive backing that adheres to most surfaces. 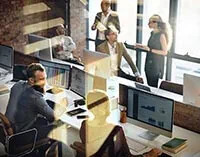 The wireless interface offers easy connectivity – and lets you print from virtually anywhere or share on a network. Create and print from your mobile device when connected to a wireless network. The FREE Color Label Editor app includes thousands of personalized features, such as frames, fonts, art, backgrounds and ready-made designs for your mobile device (download from app stores). Use the P-touch Editor software to print a wide variety of professional-looking labels from your Windows or Mac® computer to easily tackle a myriad of office and organizational tasks, business projects, address labels and more. Built-in cutter for full and half cuts. 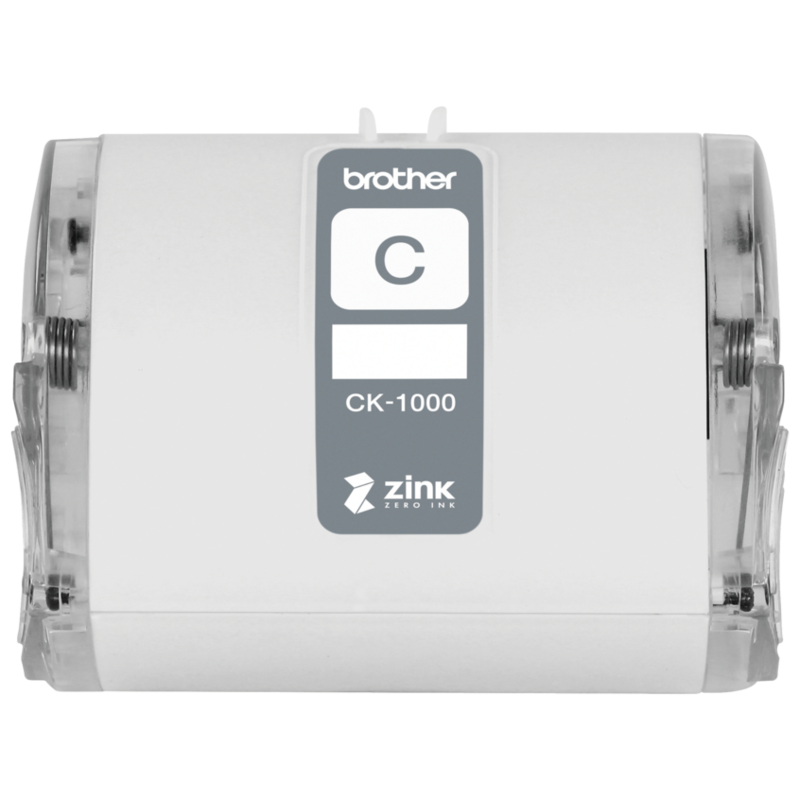 Uses convenient Brother CZ and CK ZINK® paper rolls requiring no ink. 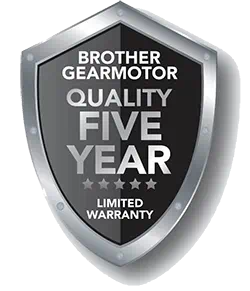 Easy, full color printing for all your ideas. 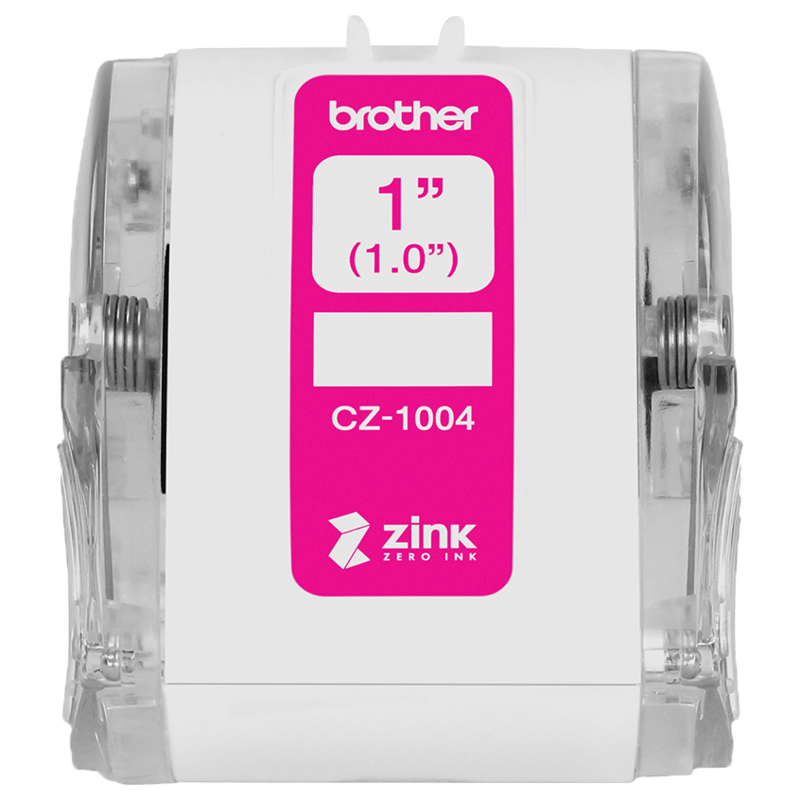 Easily design and print amazing full color labels, photos, stickers and more up to 17 inches long – using ZINK® Zero Ink technology ink-free printing. Connect your way to create and print from virtually anywhere. 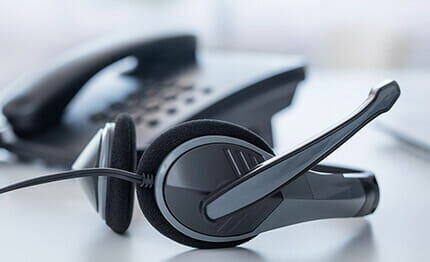 Wi-Fi/Wireless direct offers easy connectivity so that you can print from virtually anywhere or share on a network. 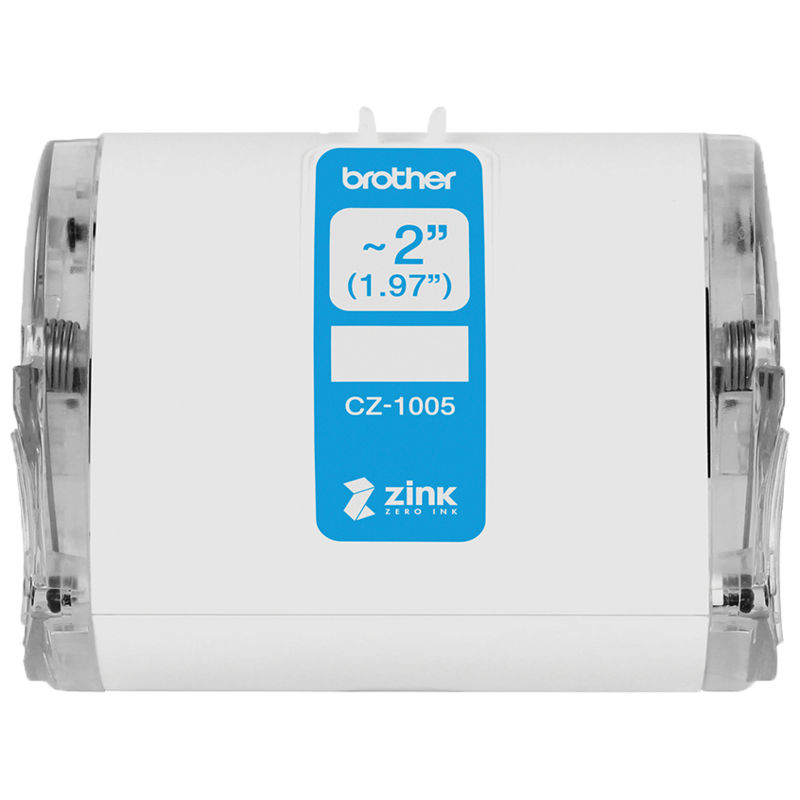 Brother Genuine CZ-1004 continuous length 1” (1.0”) 25 mm wide x 16.4 ft. (5 m) long label roll lets you create labels, photos, stickers and more up to 17 inches long. 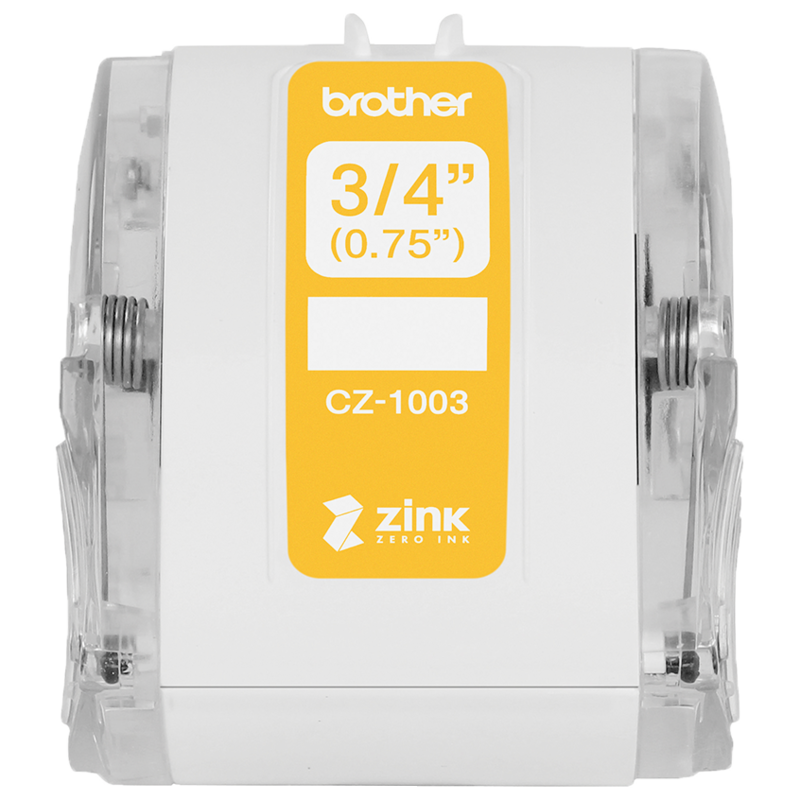 Features ZINK® Zero Ink technology with all colors required for high-quality photo printing embedded in the paper. 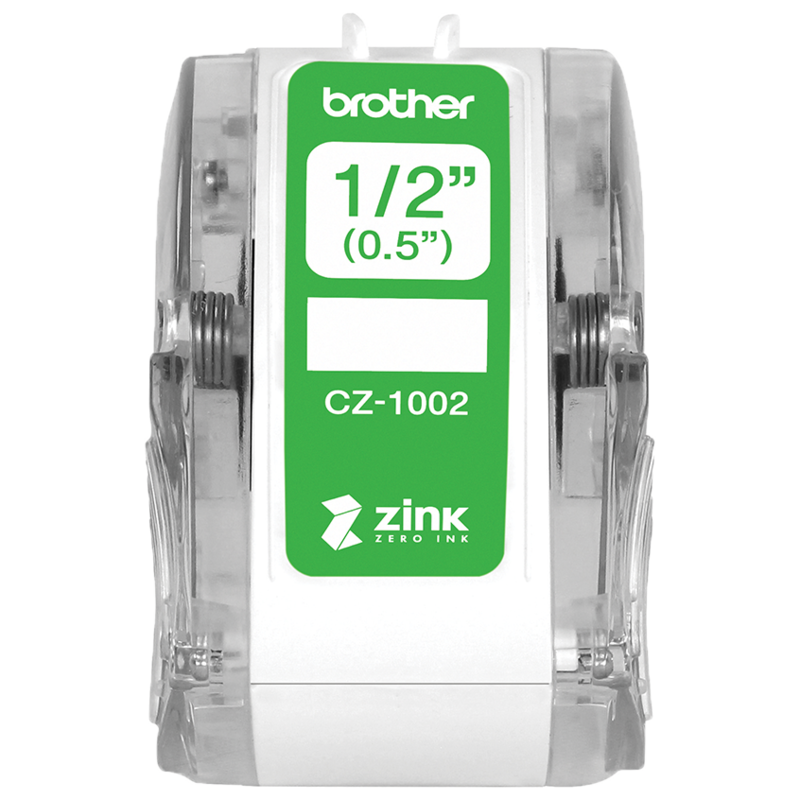 CZ-1004 label roll ZINK® paper is water, tear and smudge resistant and has an adhesive backing that adheres to most surfaces – perfect for creating stickers. You’ll have fun decorating, personalizing, organizing and creating everything from handmade gifts, gift wraps and tags, greeting cards and invitations, jewelry, photo projects, party favors, kids’ stickers, and family fun items to tackling a myriad of organization tasks, business projects, address labels, scrapbooking, home decor, and more.